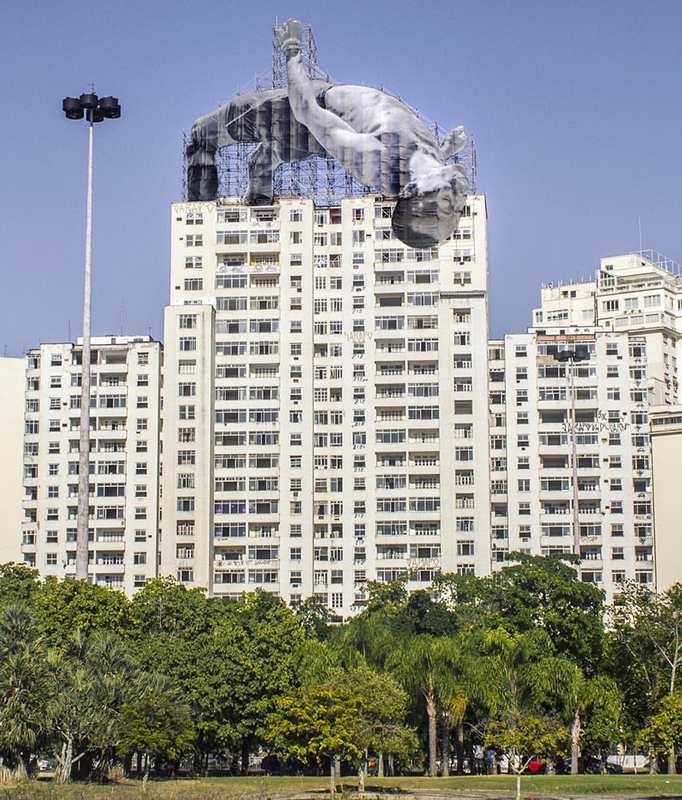 in celebration of the upcoming olympic games in rio de janeiro, artist JR has created two new public artworks in the city. 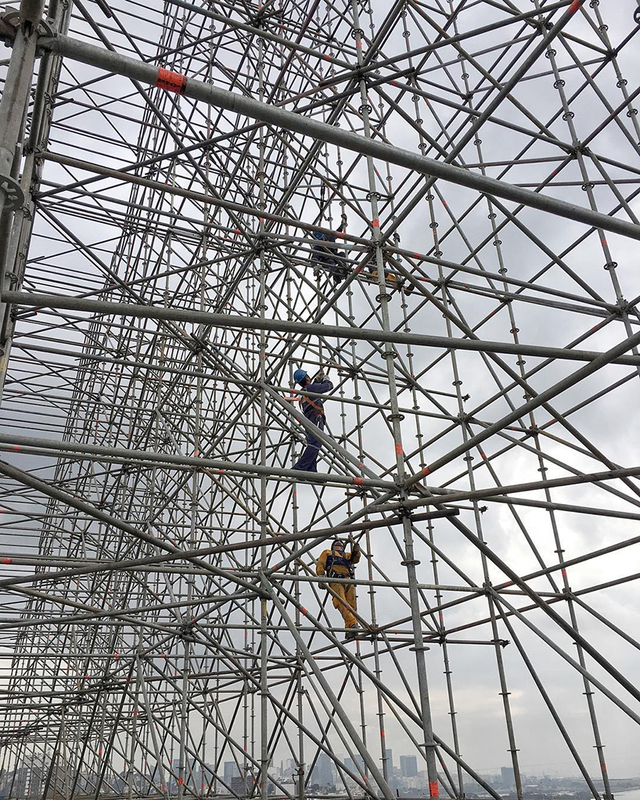 the pair of installations build upon the french artist’s ongoing ‘inside out‘ project, but adopt a completely novel material in their realization: construction scaffolding. 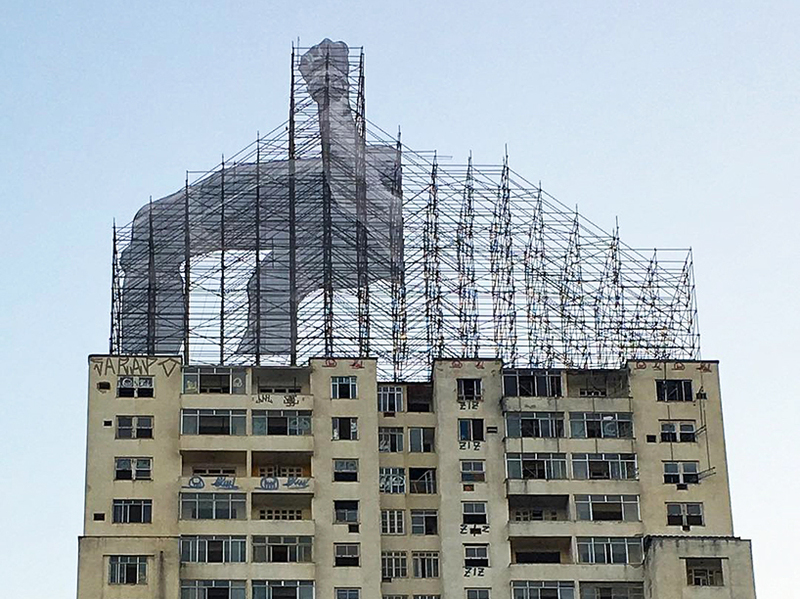 JR depicts two larger than life athletic figures on metal poles, placed in dramatic locations across the urban landscape of rio. 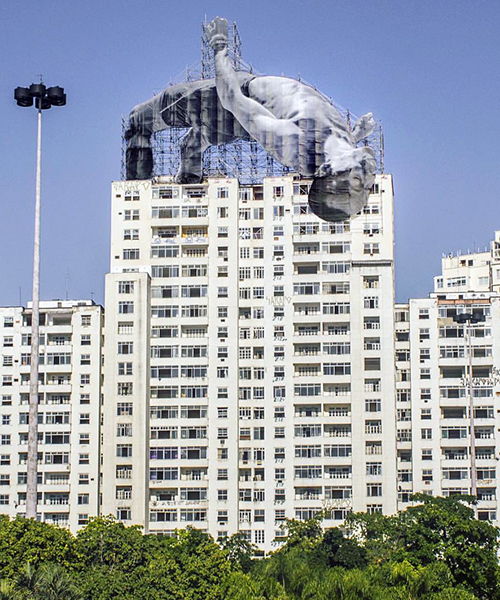 the first sculpture is installed on the roof of a large residental complex, comprising a massive arrangement of scaffolding canvassed by the massive image of a high jumping athlete. JR explains on his instagram that the monochromatic figure represents mohamed younes idriss — a 27 year old from sudan who lives and trains in cologne, germany. ‘he missed out on qualification for the 2016 rio olympics but he is there some how,’ JR describes. 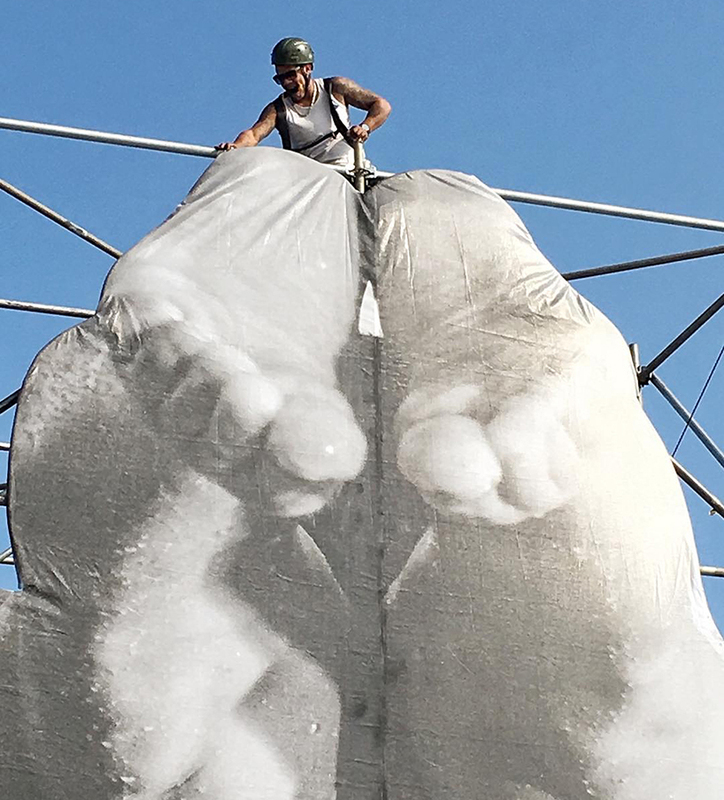 while the paper cut-out of the figure’s body and legs are positioned on the metal poles, his face reaches onto the building and overlaps across the upper three floors of the site. 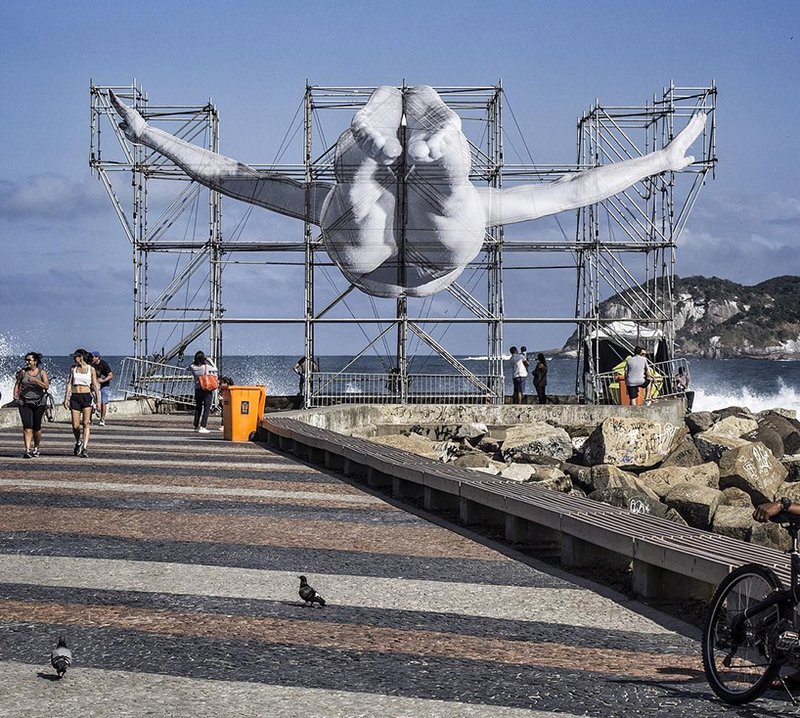 the second installation, located near the barra neighborhood, depicts a diver leaping into an adjacent area of the ocean. 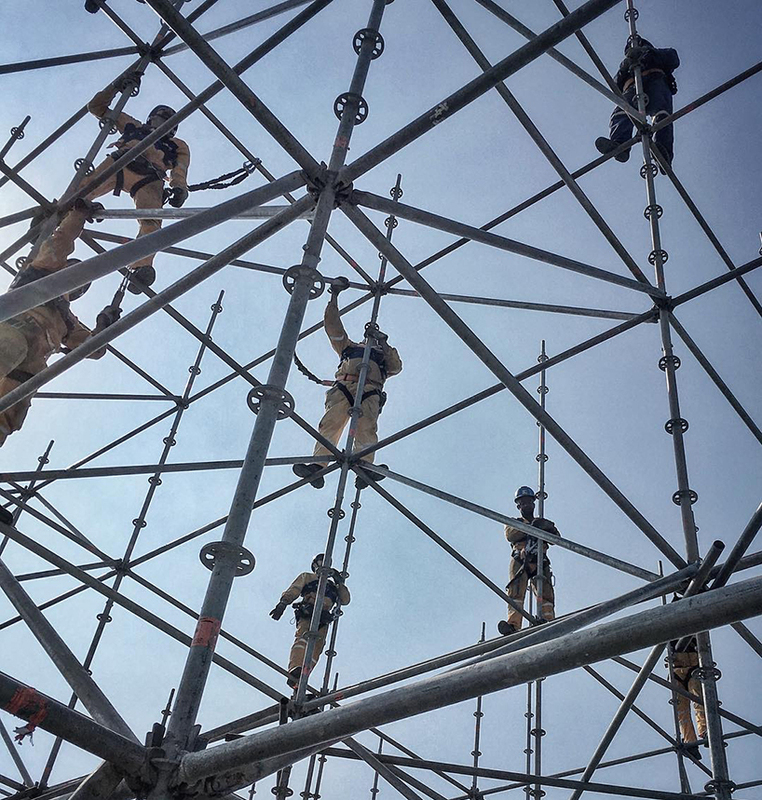 also attached to large-scale metal beams, the artwork illustrates an athlete with arms stretched open hovering over nearby rocks and making its way into the water below. 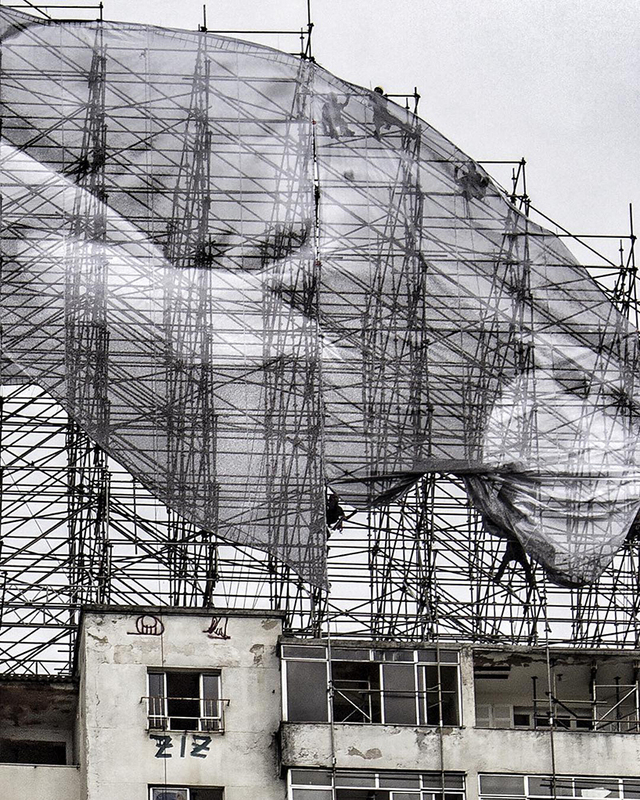 stay tuned for more images of the completed artworks in rio de janeiro. For those of us not going to Rio…I want one of each.